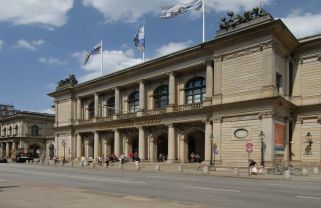 The Chamber of Commerce, probably the finest neo-classical secular building in the city, is not only the heart of Hamburg's economy, it is also in the heart of Hamburg city, adjacent to the town hall. It is easily accessible by public transport. The Chamber of Commerce also offers interested companies, industry associations and institutions accommodate events from 4 up to 1000 people. 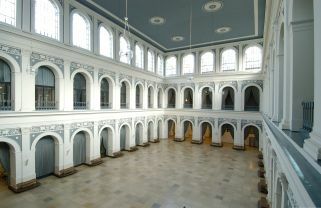 It has two impressive and seven trading floors, equipped with advanced technology conference rooms. 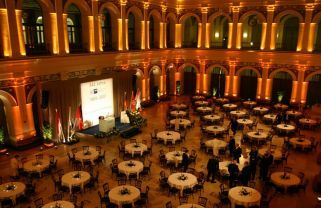 Both the 660 m²-large trading floor, as well as the slightly smaller room "Commerz" be equipped with event facilities and lighting, making them ideal for meetings, elegant gala dinners and conferences. 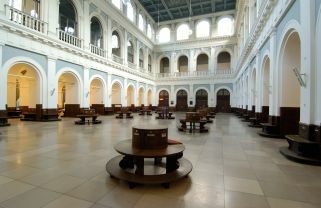 For smaller conferences and seminars up to 280 people, there are the appropriate space.